Waking up in the morning to find your car won’t start is frustrating, but it’s nothing compared to breaking down on the side of the road in Joondalup with no help in sight. Unfortunately, regardless of how well you take care of your vehicle, it’s highly likely that it’ll get you into a difficult situation sooner or later. Fortunately, when your car refuses to move, the professionals at Executive Towing Services can lend a helping hand. For over ten years, we’ve provided a towing service in Joondalup that you can trust to help you in your time of need, and you can count on our professionals to arrive at your location promptly. Furthermore, our mission is to be the most cost and time-effective company in the area, so give us a call whenever you need a tow truck in Joondalup. We pride ourselves on our ability to reach the scene of an accident in Joondalup as quickly as possible, but our towing services extend beyond emergencies. We can transport just about any type of vehicle for whatever reason you need, from taking lowered sports cars to track days to carrying heavy machinery to industrial plants. We know that it’s difficult to place the safety of your vehicle in someone else’s hands, but you can trust our professionals to treat your car as if it were their own. We have a long-standing team of committed operators, and they make your vehicle’s well-being their top priority. Without a doubt, our highly skilled professionals have helped us become what we are today, but we couldn’t have grown to be the most trusted towing company in Joondalup without having a fleet of trucks that are capable of transporting any car. If you need a tilt tray to transport a forklift to a warehouse or a broken down car to a mechanic, we have a tow truck in Joondalup that’s perfect for the job. All our tow trucks are maintained to the highest standards, and they’re operated by drivers who know how to get your vehicle from A to B quickly and without causing any damage. If you need a company that offers towing in Joondalup to go above and beyond the call of duty, you’ve come to the right place. We know that for our services to be valuable, we have a responsibility to work quickly, so if time is of the essence and you don’t want to pay extra for the privilege of a prompt response, we’re the company to call. The next time you break down by the side of the road, don’t panic – we’ll be there to assist you promptly. In some cases, our professionals can also provide roadside assistance by the side of the road, which is a further testament to our commitment to going above and beyond the call of duty. If you need a reliable and experienced company for towing in Joondalup, contact us today on 0410 471 056. Joondalup is a regional metropolitan city in Perth, Western Australia and is located approximately 26 kilometres north of the Perth CBD. The local government area is the City of Joondalup and the suburb mainly is residential with the central business district centred on Grand Boulevard largely a retail and shopping area lined with apartments and townhouses. 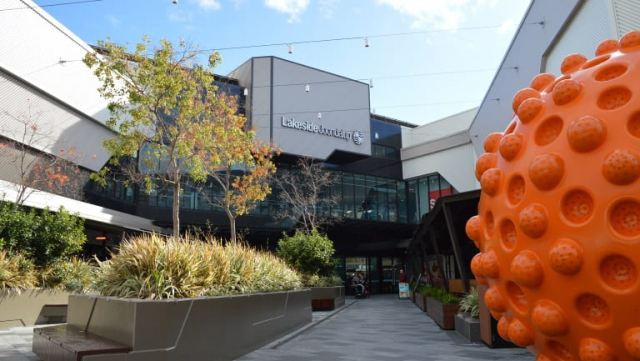 Lakeside Joondalup Shopping Centre is located within the Joondalup CBD and is adjacent to the Joondalup railway station, on the other side of Grand Boulevard you will find the Western Australian Police Academy and Edith Cowan University Joondalup Campus.